McMath’s Carter Stein Featured in Arkansas Democrat Gazette for Commitment to Junior Deputy Baseball - McMath Woods P.A. Published on Jul 3, 2018 at 4:49 pm in Junior Deputy, Stein, Uncategorized, Volunteer. 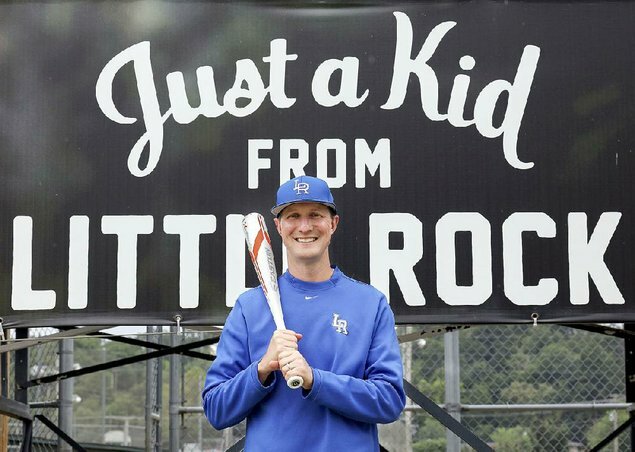 er C. Stein, Managing Partner of McMath Woods, PA, was featured in the July 1 edition of the Arkansas Democrat Gazette for his dedication and active roles within Little Rock’s Junior Deputy Baseball program. The article, Volunteer Throws Support Behind Junior Deputy Ball, highlights Stein’s history with the program from his childhood to his involvement now as a board member, coach and parent. Junior Deputy Baseball serves more than 1,000 children, ranging in age from 4 to 15, and multiple leagues. Stein’s litigation practice focuses on injury and wrongful death. Stein has been an active member of the Arkansas Trial Lawyers Association since joining the bar. He has served on the Arkansas Trial Lawyers Association Board of Governors since 2008 and was named the 2010 Outstanding Member of the Arkansas Trial Lawyers Association Young Lawyers Division. Stein graduated from the University of Arkansas in 2000 with a B.A. in History. He earned his J.D. from the University of Arkansas at Little Rock William H. Bowen School of Law in 2003.